Share "Renting For Your Business Party"
Whenever I think of office parties, I think of the hit TV show ‘The Office’ and the party planning committee struggling to plan the next event. 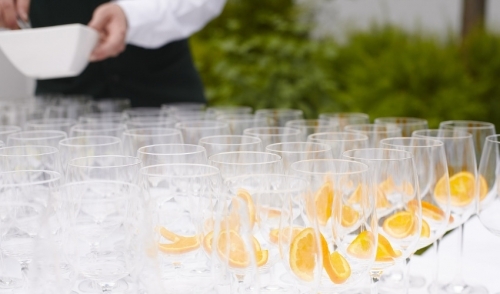 However, planning your next office shindig doesn’t have to be hard. In fact, it can be one of the most fun things to do for your colleagues and clients. Make your next business party a success by renting everything you need. The best part about renting for your party is that your possibilities are endless. Too often do people think of renting for parties as a means to plan kids parties. Party rentals go far beyond clowns and moon walks. Many rental dealers carry a variety of supplies and items that are more fitting for a party with adults or clients. Before contacting your local rental dealer, have a plan or theme ready. Consider your audience, the location if it’s outside the office, and the time of the year if you’re going for a specific theme. No party is a hit without a plan, and even then you might still run into a few challenges. In this plan you will need to map out everything you will need for your party. From chairs and tables to corn hole and casino games; no choice is too big. Don’t hesitate to get picky and inquire about specialty items like fountains or photo booths either. Renting is not only great because of its many possibilities, it’s also great as its cost-effective and can save space from having to own such items. Shop around and compare prices across various dealers. Every rental dealer has a warehouse full of rentals and while there may be some overlap with some items, it’s not the case for all of them. Each rental dealer offers its own competitive pricing and unique inventory. Take the time to explore the many options and pick something that will work for your guests and your expense report. If you rent an item that requires supervision or special instructions make sure to ask for assistance or hire an extra hand to keep the party running smoothly. Once the party is over, you can arrange for your rental provider to pick everything up at the appropriate time. As you are renting with for your business party, remember that rental companies are businesses as well. Strike a cord with your representative and build a relationship that both parties can benefit from. Rental companies are great for references and referrals depending on your business. Having a relationship with your local rental dealer will also help you with better pricing and priority for the many office events you will throw this year. Don’t be Angela from ‘The Office.’ Save yourself the struggle and rent for your next office party.